Rams softball split their double header against West Liberty Thursday afternoon with final scores of 2-1, a loss in the early game, and a 3-1 victory in the night cap. 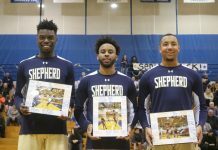 With the split the Rams season record is now (21-11) as well as a (12-6) record against Mountain East Conference opponents. The Rams’ opponent, West Liberty, remained four games under .500 as their record is now (12-16) on the year with the win/loss split. It was West Liberty that was able to pick up the win in the early game with strict defense a leading factor as they were able to hold the Rams to just one run. The Hilltoppers were also the first to strike in the opening game with a second inning blunder by the Ram defense. 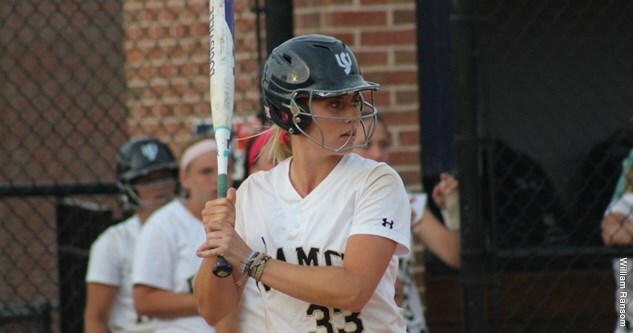 The Rams allowed left fielder Kelly Mullins who was walked the at bat before, to make it around home from first base off a wild pitch that led to two additional errors in the field. The score stood at 1-0 until the Rams at bat in the fifth inning as Hilltopper starting pitcher Makenzie Amend made Shepherd work for every hit, allowing six total hits the entire game. Junior right fielder Morgan Cox broke the Rams drought with an RBI single that brought home junior left fielder Alexis Shearer who reached base two batters prior. The offensive output for Shepherd ended there as the West Liberty defense regained their grip on the game. The game was at a stalemate from the fifth inning on and wound up needing extra innings to break the tie. In the 11th inning, with pinch runner Skylar Minzler in scoring position on third base, third basemen Kelsi Johnson laid down a successful bunt to win the game 2-1. Hilltopper pitcher Amend pitched a complete game and picked up another win to improve her season record to (8-4). Rams starting pitcher for the early game action, sophomore Taylor Stocks picked up the loss with six innings of action, her third of the season and now sits at (2-3). 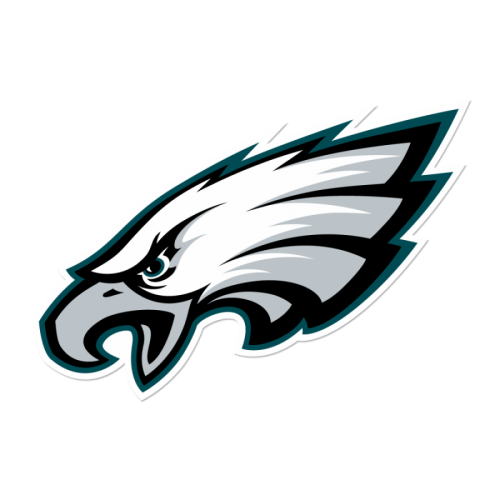 The Rams were able to find a rhythm and produce enough offense in the night cap to get a successful split in the final road game of their current stretch. Up until the fourth inning of the nightcap both teams struggled to do much of anything on the offensive side, but this time it was junior catcher Kelsi Weaver and the Rams who produced the game’s first run with an RBI single, scoring junior left fielder Lori Sturgill. The momentum continued briefly in the fourth inning with the Rams getting a second run home as Weaver scored the run herself off an error by Hilltopper pitcher Taylor Wright. West Liberty was able to get out of the fourth inning after surrendering two runs but failed to muster any offense themselves, allowing the Rams to come back up to bat in the fifth and add a third run. 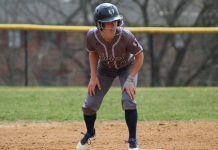 Shepherd freshman second basemen Leann Brown brought home the team’s final run after doubling, advancing to third on a fielding error, then scoring on a failed stolen base attempt of second by sophomore third basemen Allison Baker later in the inning. West Liberty avoided the shut out in the seventh inning thanks to an RBI single by shortstop Skylar Fankhauser, scoring pinch hitter Kate Meloun. Freshman pitcher Cheyenne Van Pelt pitched a complete game in the night cap and picked up her fifth win, sitting at (5-0) for the season after allowing just three total hits. 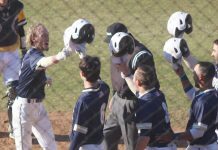 The Rams will be back in action quicker than usual after their game got rescheduled to Friday, April 13, when they will welcome UVa-Wise to Shepherdstown for another double header starting at 2 p.m. Previous articleTutoring on Campus: Is there a stigma?